Woodpecker Pad is a luxury three bedroom self catering holiday home, has been awarded Gold for Green tourism. 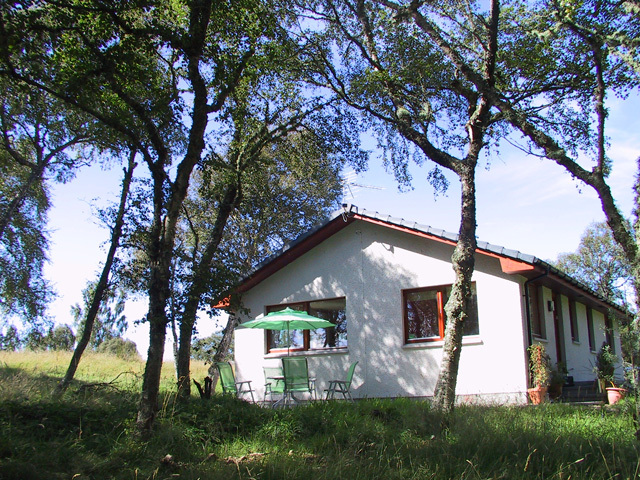 Situated on a 200 acre farm, which lies amidst the beautiful and picturesque valley of Strathnairn, the cottage sits in a secluded idyllic woodland location, only 6 miles southeast of Inverness, 11 miles from Loch Ness and 26 miles from the skiing centre of Aviemore. Nearby, and within walking distance, is the rural village of Inverarnie, with a well stocked shop and Post Office. 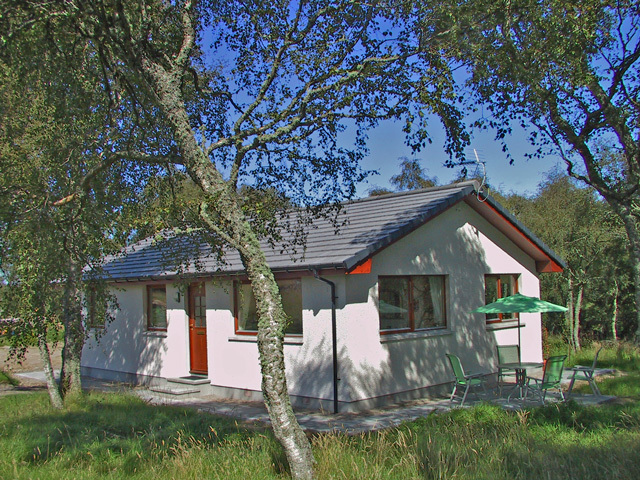 For couples, families or for the larger party (you could hire one of the other cottages Rowan Ridge or The Haven, as well) this is an ideal spot for your holiday in the Scottish Highlands. 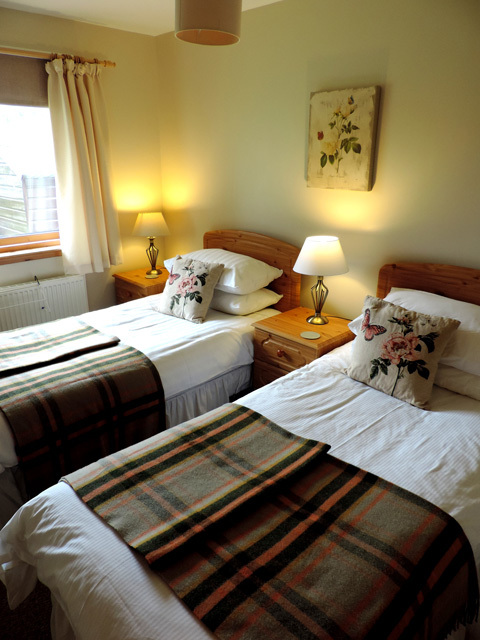 With superb views all round, much thought and care has gone into the layout and spacings of the cottages to provide maximum privacy and secure the best views of the mountains around. From the doorstep of Woodpecker Pad you can access 3.5 miles of beautiful woodland and riverside nature walks, these connect into Forest Enterprise roads/walks allowing you to walk for miles into the hills (or mountain bike) on good quiet forest trails. We are sure your four legged friend will simply love this freedom. Over a mile stretch of river runs through the centre of the farm and passes just below the cottage. There is a wide variety of wildlife and birdlife, with several RSPB reserves local to Woodpecker Pad, including Loch Ruthven, the main breeding place of the rare Slavonian grebe. Gold eagle, red kite, osprey, buzzard, owl, hawk and woodpeckers are frequently seen. Choosing your accommodation close to the city of Inverness and Loch Ness, has numerous benefits - excellent shopping and sports facilities within Inverness, Loch Ness cruises, many top class golf courses, Culloden battlefield, Moray Firth dolphins and a central location for wider tours in the Highlands and Islands. For winter visitors, this is an ideal base for a skiing holiday, with Aviemore only 30 minutes by car. Spacious lounge with colour freeview TV, DVD, CD player with iPod dock. DAB radio. WiFi internet. Large windows for watching the numerous birds that inhabit the birchwoods, and a patio to the front of the cottage for your relaxation and enjoyment. 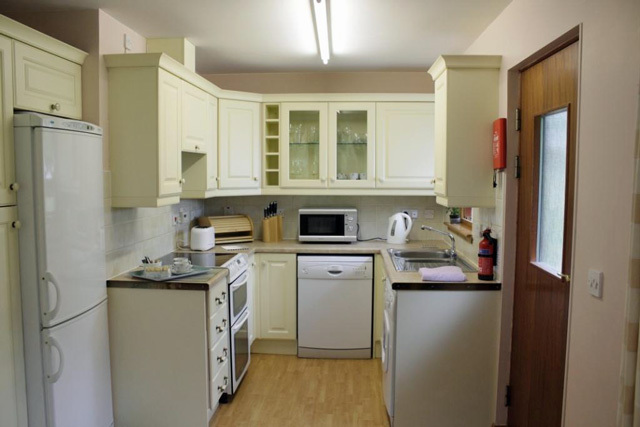 The large kitchen, with dining area, has cooking by electricity, oven, grill and hob. A microwave, fridge/freezer, dishwasher, washing machine/dryer, toaster, coffee maker and electric kettle are also provided, together with all kitchenware required. Bathroom has a shower, basin and toilet, with a heated towel rail and shaver point. A large airing cupboard, iron and ironing board, clothes dryer, hairdryer and vacuum cleaner complete the facilities. Fully enclosed garden with plenty of parking space adjacent. Garden furniture and barbecue. Garden shed for storage of bikes, complete with table football. All oil and electricity is included in the price. 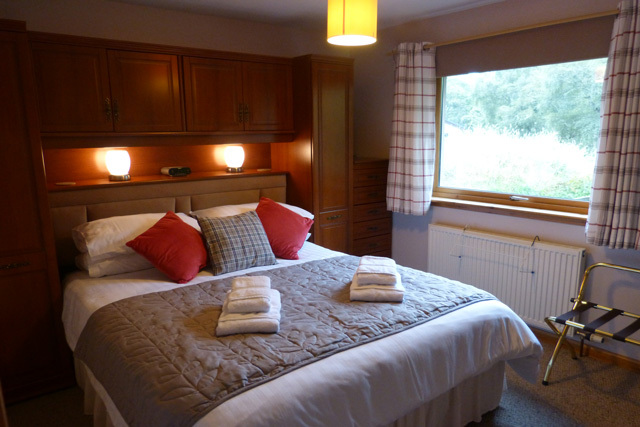 Double glazing and full oil fired central heating ensure the cottage is warm and welcoming in the cooler months. 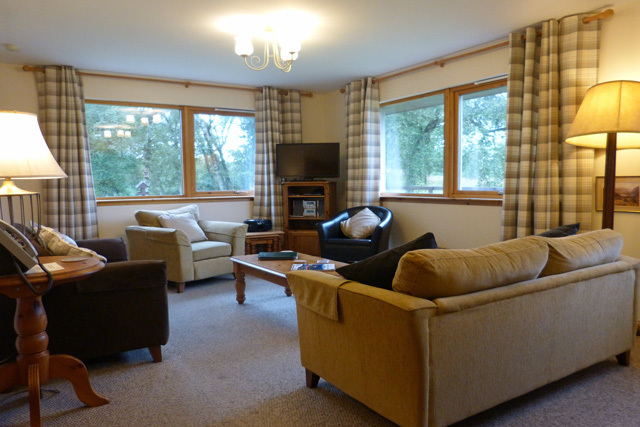 A fabulous woodland location and a short drive through spectacular countryside to Loch Ness. Forest, woodland and hill walking from from the doorstep. The birds and wildlife around the cottage and central location make it ideal for touring. Excellent holiday, the cottage was absolutely wonderful, so well equipped with all mod cons. There were three generations of us and we all had a smashing time in the evenings going for walks, playing cards, swingball,scrabble and not forgetting the table football in the shed! The cottage was lovely and clean. We've just returned from Woodpecker Pad, Dalvourn Farm, Inverarnie. Wow, what a location. Each of the lodges is placed just so, so it feels as if you're the only ones there. Stunning location - all you can hear is the river at the bottom of the valley, the rustling of the leaves and the singing of the birds. We can't wait to return!